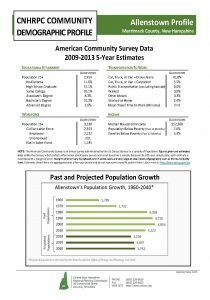 The 2017 American Community Survey (ACS) 1-year estimates for areas with a population of 65,000 or more were released. These are NOT 2010 Census results; they are based on survey data collected in calendar year 2016. 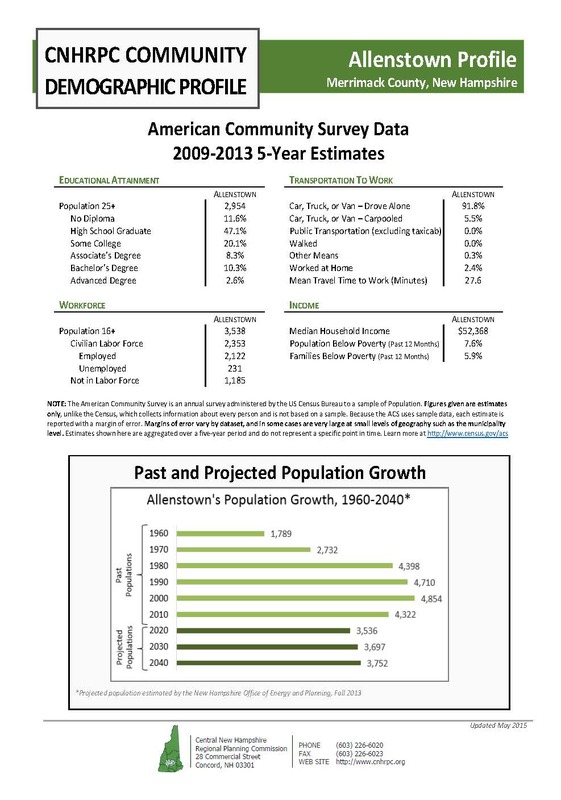 Like the ACS data released in previous years, these data describe the social, economic and housing characteristics of the population. The 2013-2017 ACS 5-year estimates were released. These data report the same type of characteristics as September’s release, but for smaller areas and for a 5-year time period. These are NOT 2010 Census results, but are based on survey data collected between January 2012 and December 2016. Estimates are available for the smallest geographic areas including census tracts (units of about 4,000 people) and even smaller, block groups. The state population counts were released– these ARE the 2010 Census results. The 2017 population estimates were released for New Hampshire cities and towns by the New Hampshire Office of Strategic Initiatives (formally the New Hampshire Office of Energy and Planning).